There is a renewed focus on the hyperlocal community. These things tend to happen when big companies get involved. Recently news has both Amazon and Google entering the home services market. And this is on top of well funded startups such as Porch and Thumbtack who have been innovating in the home services market for a few years. The numbers certainly are compelling. The home services industry is estimated to be worth between $400 – 800B and local advertising is pegged at $130B/yr market. Every analyst report shows a massive increase in online and mobile advertising relative to traditional print and mail advertising. Technology has made information instantly available and allowed consumers to make nearly instant decisions in almost every aspect of commerce. Even so, it’s well known that it is hard to create “Marketplaces” that tie together buyers and sellers – the inertia of even getting the attention of one side of the marketplace is hard enough; to get the attention of both sides and consistently add to both sides of the marketplace is exponentially more complicated. One of the biggest advantages of technology is that it can create solutions “to scale”. Once the Marketplace works, it can (in theory) work anywhere. So, the same technology can go from managing one town or vertical market to another. However, there’s one thing that technology cannot do: Technology cannot become local experts in each community. Most towns have local newspapers that provide specific information about their own community. Over the past 5 years, many of these newspapers have gone online – some exclusively, and some in a hybrid manner where they still have a print presence as well as an online presence. Hyperlocal publishers are the “town criers” of years past – they tend to know the community better than anybody else and are passionate about giving their community timely, accurate and compelling news. These publishers know both the businesses and the residents of their community. If you’re looking for a great restaurant or a good plumber, wouldn’t they have as much (if not more) insight into these local questions than a technology platform? Isn’t the local publisher the perfect combination of technology and community? Technology in and of itself will never be local, but it scales. Community is always local and doesn’t need to scale. Community requires three components – the residents, local businesses, and the local maven who links them together. What would be truly compelling is to provide these mavens… the town criers… with technology that helped them not just create and distribute great content, but allow for the local community to be represented online as well as offline. Mobile too. 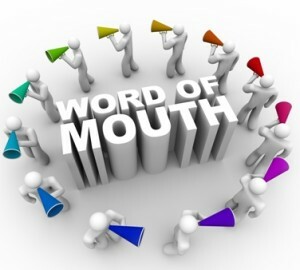 Nearly everybody I speak to; both residents and local businesses; say that word of mouth is the most compelling way to find and market businesses. The hyperlocal publisher is the most obvious and trusted way to enable and promote local business word of mouth in the community. It consists of consumers, local businesses and the local maven. You don’t have a true community without all three. Technology companies lack the local expertise, and as long as we keep looking for technology to unilaterally solve the hyperlocal problem, we will keep missing. Once technology works in cooperation with the local experts, we have a chance. For hyperlocal publishers, the opportunity to provide a highly targeted and influential demographic for local businesses it too great to ignore. Savvy marketers know exactly which social media platform they should target to hit different segments of the market. Many people are now raving about Facebook dark posts as a way to target hyperlocal consumers, but even Facebook with their enormous reach is not enough. Who can honestly say that they have the ability to touch every person in a hyperlocal community other than the hyperlocal publisher? We see an opportunity for hyperlocal publishers to own and enable their own platform. It’s not global (or even national) in scale. It’s community based, highly targeted, and curated by experts. The true maven’s will create sustainable and lasting value – not just from providing all the local news, but by connecting the community. This is the ultimate hyperlocal word of mouth solution. Something none of the large tech networks can ever do.